"McGowan is a Scottish and Irish Patronymic name from the Anglicized form of Gaelic Mac Gobhann (Scottish) and MacGabhann (Irish) both from occupational nicknames for the village smith. It is also occasionally derived in Scotland from MacOwein , a patronymic form of the given name Owen or Ewen. Variations include McGowing, McGowen, McGoune, Magowan, McAgown, McEgown, McIroine , and Gowans." Mary: b. 1857, d. Sep 28, 1918. Married Patrick Kilkeary, b. 1842 in County Clare, Ireland, arrived in America at age nine. d. March 23, 1917. Children: Mary, John, Katherine, Thomas, Elizabeth, Edward F., William P.
Elizabeth: b. Sep 25, 1858, d. April 29, 1935. Married James L. ??. Children: Thomas, John, Katherine, Mamie, Fenton. Elizabeth (Lizzie) Dunn wife of Thomas McGowan. Elizabeth was the daughter of Peter Dunn and Mary Dempsey Dunn. Katherine: 1893-1947, married Anthony Irwin Vollmer 1893-1966. Anthony was the son of Phillip (Jake) Vollmer and Ellen Foley. Ellen was the daughter of John Henry Foley and Margaret Henneberry Foley. Emmett J.: DDS. married Ruth Donovan. Emmett was the dentist for many of the Dunn, Kinney and Henneberry families (including your webmaster) in Decatur, IL. Decatur Herald: Monday, April 21, 1980: daughter of Elizabeth Dunn McGowan. 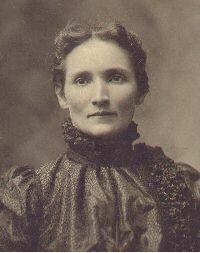 Daughter of Thomas and Elizabeth Dunn McGowan. She was a member of Country Club of Decatur, served on the board of local chapter of American Cancer Society, Webster Hall and Illinois Women's Golf Association. She was a former teacher at Centennial Junior High School. She married Francis A. "Smock" White. Surviving are her husband and brother, Virgil McGowan of Decatur. Three brothers and three sisters preceded her in death.